So I suited up yesterday and attended the Governor’s Economic Summit—yep, it sounds totally boring. However the keynote speaker was of definite interest and I was stoked to have a sponsor seat squarely in the center of the overly ornate ballroom of the Grand America. 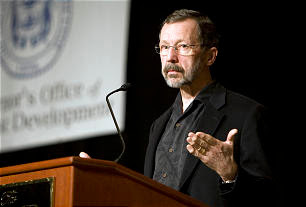 The keynote address was given by none other than Dr. Ed Catmull, UofU grad, co-founder of Pixar Animation Studios and President of Walt Disney and Pixar Animation Studios. Needless to say this dood is el hombre. His speech was entitled “Building a Sustained Creative Community” and I’m telling you right now, it couldn’t have been a more pertinent or timely message. Here are some of his thoughts, paraphrased by my poor note taking skills. His recommendations for creative shops included things like: Don’t have two different standards of quality. Trust the process. Decide whether or not you’re in it for the long haul. You must realize that everything changes so a lot of the things you learned in the past may not apply any more. You’ll get stuck every time you try to solve an issue by yourself. Technical people are not different than artists. Create a trusting space and show work daily, as early as possible—even in its roughest form. Don’t wait until it’s “ready to show.” There’s a force for human safety and control: it’s called fear. Everybody’s afraid of something, don’t let it stop you. Ride through the fears. Honesty depends on trust and trust must be earned. Never threaten the trust… sure, people want to be polite, or respectful, or don’t want to embarrass themselves, but teach your people to be genuinely honest. Argue over a project, but never make it personal. Make sure it’s truly is a safe place. Feel free to check out all my Pixar-related posts, here. 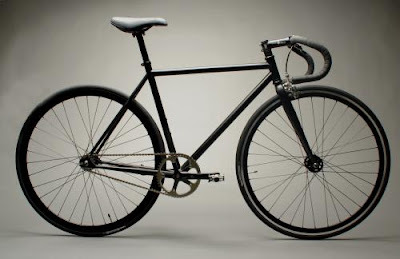 I’m in San Francisco this week, fixie capital of the world. I’m blown away by the shear number of bikers on roads—especially the number of fixie riders. I’ve definitely spotted a couple of Mission Bicycles while I’ve been hoofin’ it around town to my various meetings. 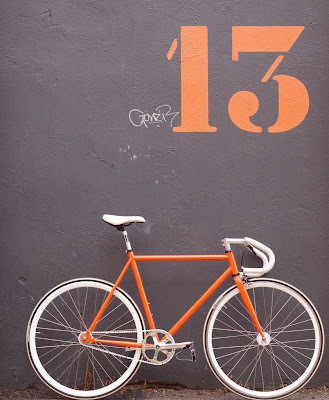 Mission Bikes are rad, custom fixies built here in SF. 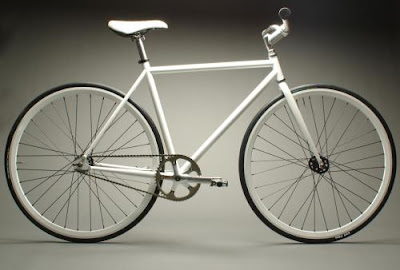 You choose the frame size, color, handlebars, brakes (or lack thereof) and they’ll ship it to you! Here’s a couple of classic Mission models. When Mrs. Kyality and I were just married, one of the first really big things we did was buy a car. We were still in school, so we were definitely relegated to an entry-level vehicle. We looked at used Hondas and Toyotas, even Fords (barf). But everywhere we went—we felt accosted and pressured by slimy, desperate, greedy salesmen who blatantly didn’t care about us or our situation, whatsoever. At that same time, I was pretty into wagons and I happened to have a thing for little Saturn wagons. Granted Mrs. Kyality wasn’t into them, but it at least got us into the Saturn dealer. It was like night and day! The salesmen weren’t salesmen at all! They were basically young guys who were just like us. Saturn has always employed a no-haggle policy and I cannot even tell you how refreshing that was. Needless to say, we drove a 1999 Saturn SL2 sedan for seven years without any major issues. And now, this once innovative brand is in serious danger of getting whipped off the face of this planet. Yesterday, GM announced that within two years, they will no longer manufacture Saturn automobiles. What’s significant about this move is that Saturn isn’t a stale GM brand like Oldsmobile or Pontiac. Saturn dealerships were actually set up as independent, standalone businesses. There are 400 Saturn dealerships nationwide and together they out sell a majority of the GM sub-brands. So can GM afford to lose this spectacular sales channel? Probably not a good idea. Technically, Saturn could simply use GM as a manufacturer and become their own car company. But that requires tons of capital that obviously isn’t available. So the future of Saturn is totally up in the air, the question: what’s next for Saturn? Well, I’ve got an idea. By comparison, Saturn dealerships are much newer than the typical GM dealership and Saturn has always been a “different” kind of car company. Saturns are known for being lower budget, entry-level cars that are relatively light weight (a.k.a. plastic). In my opinion it’s the perfect launching platform for a line of electric vehicles, whether they’re manufactured by GM or some other company, perhaps even Tesla. You take cars like the Sky Roadster pictured above or the new Astra Coupe, slap torque-happy electric engines in them and Saturn is good to go! In my opinion, the new Saturn should equal no-haggle EV’s for the masses. 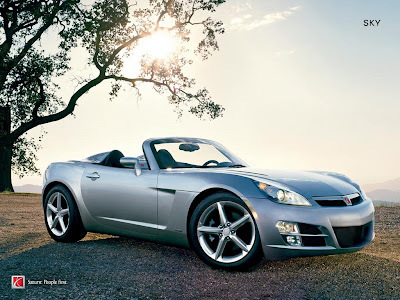 Wow, who'd of thunk I could write a post about American cars! What is the MINI SpaceBox? Rumors are flying on the interweb about a new MINI concept called the SpaceBox. Speculations range from a MINI-styled roof box or trailer to MINI-branded prefab home designed by BMW Group's DesignworksUSA to—an actual MINIvan. Crazy. So, I dunno? Whaddya think? What exactly is the MINI SpaceBox? Sound off. I knew I liked MINIs for a reason! I was stoked to get a little package from MINI this week called the MINI Adventure Field Kit. It was chock full of MINI goodies such as stickers, a mouse pad, a pen and a rad, little notebook. 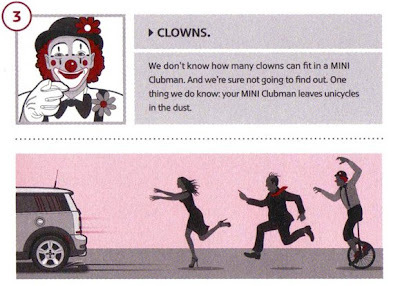 The funniest thing was the MINI Clubman Handbook. One section of the handbook is called: Know Your Foes. It explains that there are three foes that a MINI driver should always beware of: the ex-girlfriend, your boss, and of course clowns. To be a bit more specific—clowns on unicycles. Cuz let’s face it, anyone who rides unicycles, clown or not, is really just a show-off. Sorry Marcus, it’s true. And apparently this clown even has red hair.